Experience these celebrated pure aromas, just as nature intended. 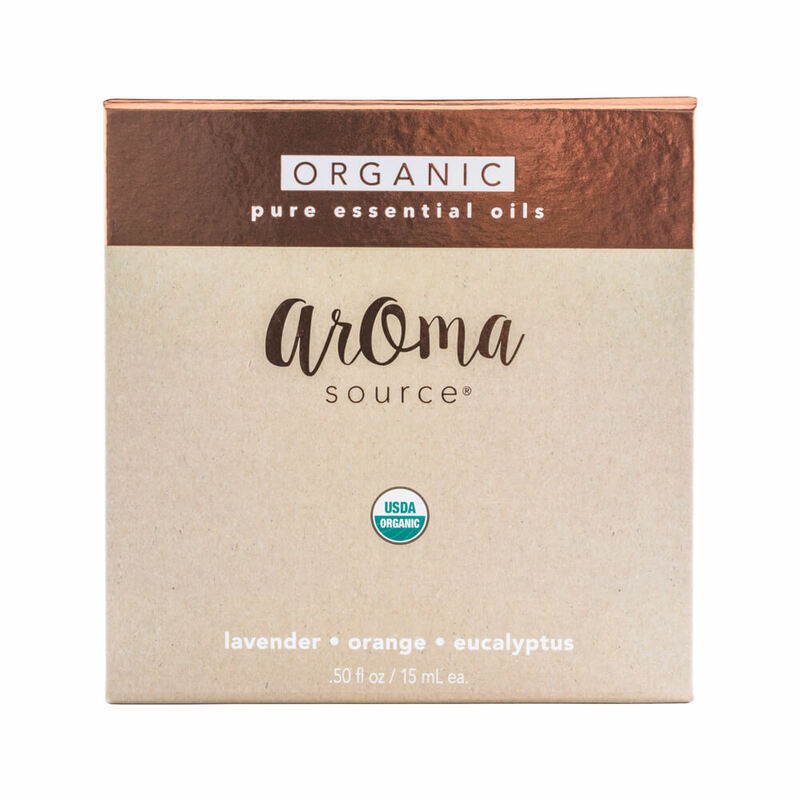 The USDA Certified Organic Seal on AromaSource products is our commitment and promise to deliver the highest quality of 100% pure essential oils. 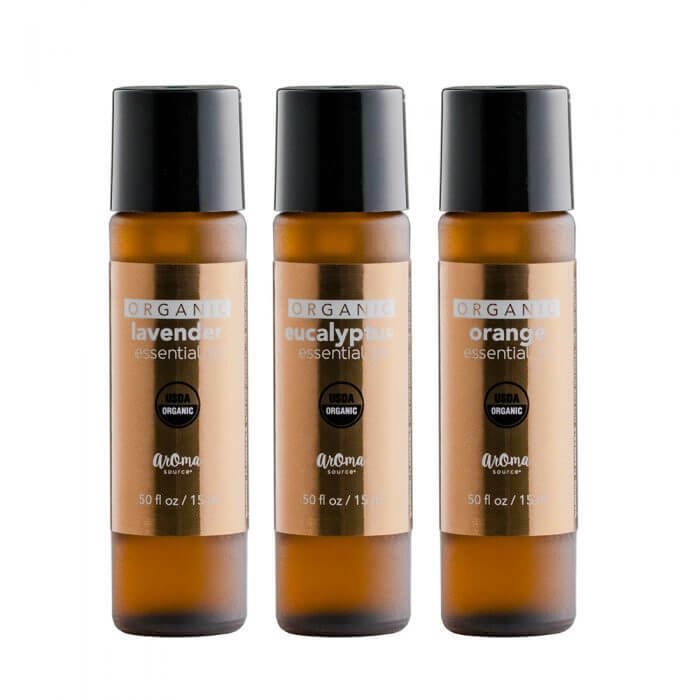 Lavender: A floral and herbaceous aroma with subtle sweet notes. Orange: A light and sweet aroma with soft citrus notes. Eucalyptus: A clean and penetrating aroma with fresh notes. WARNING: FLAMMABLE. NOT FOR INTERNAL USE. MAY IRRITATE SKIN. AVOID CONTACT WITH EYES. IF CONTACT OCCURS WITH EYES, RINSE THOROUGHLY WITH WATER. KEEP OUT OF REACH OF CHILDREN AND PETS. 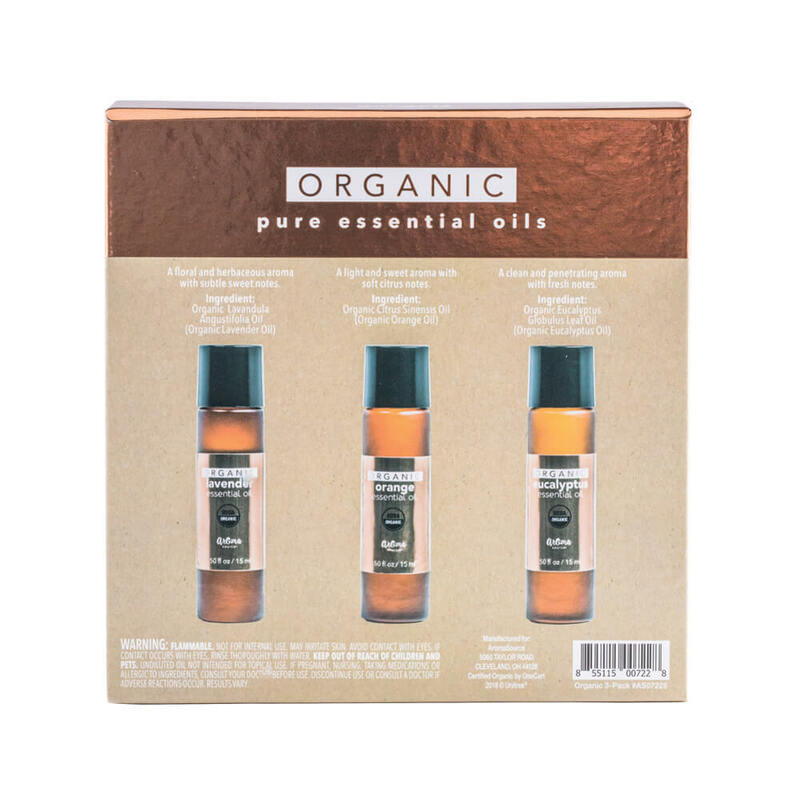 UNDILUTED OIL NOT INTENDED FOR TOPICAL USE. IF PREGNANT, NURSING, TAKING MEDICATIONS OR ALLERGIC TO INGREDIENTS, CONSULT YOUR DOCTOR BEFORE USE. DISCONTINUE USE OR CONSULT A DOCTOR IF ADVERSE REACTIONS OCCUR. RESULTS VARY.